The ACCEL Hawks are hosting the a Children’s Wish Foundation Charity Hockey Game on Saturday, January 7, 2017. 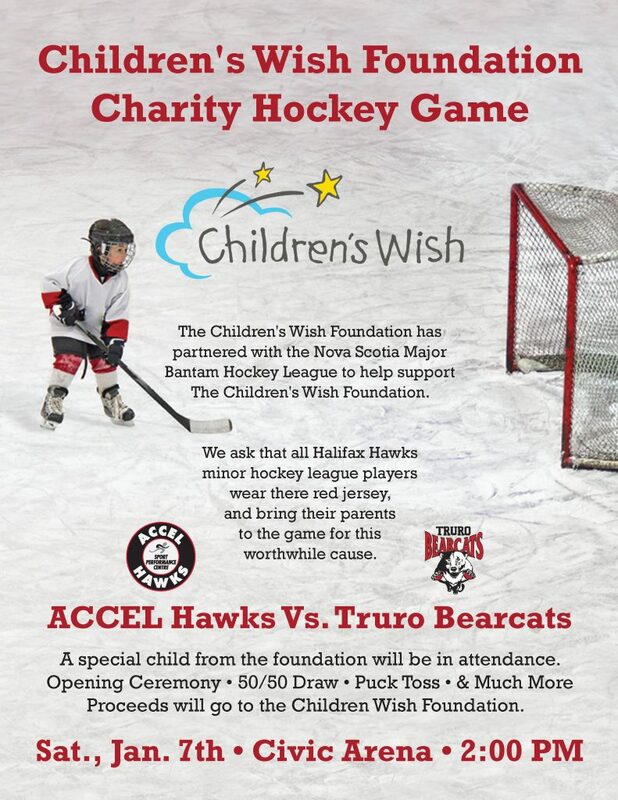 The game will feature the ACCEL Hawks and the Truro Bearcats at the Civic Arena at 2pm. The funds raised will help support the Children’s Wish Foundation. Tickets are available at our Halifax and Dartmouth clinics.